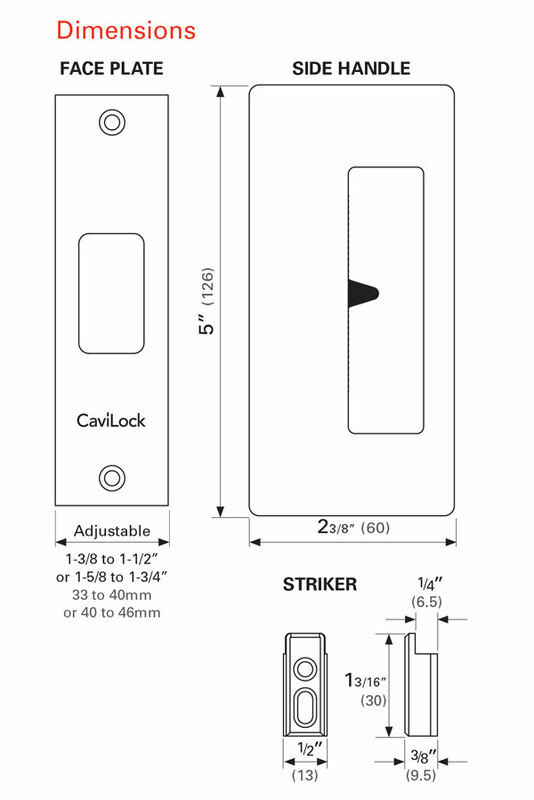 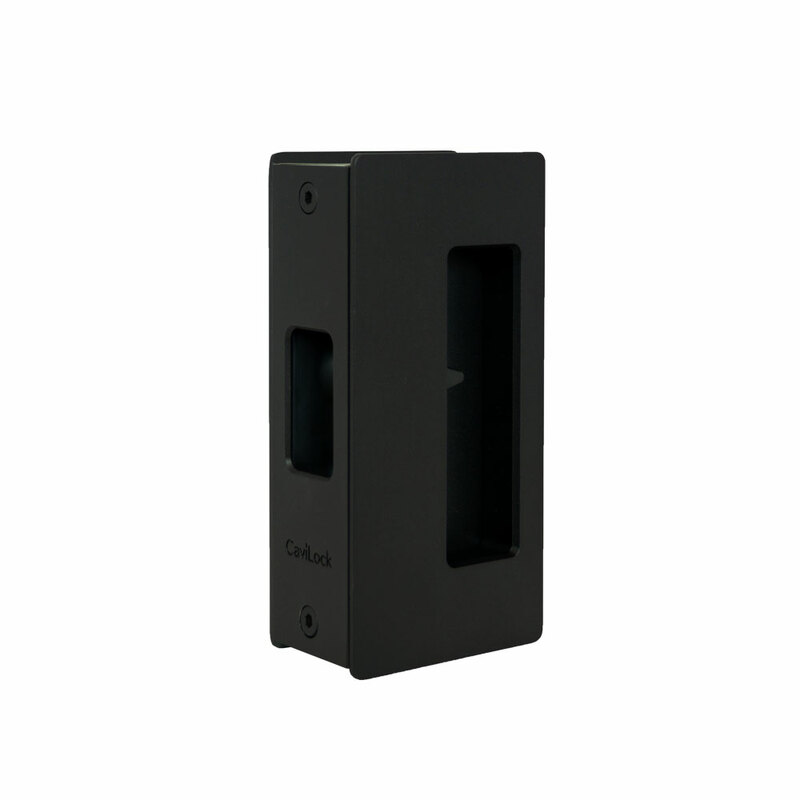 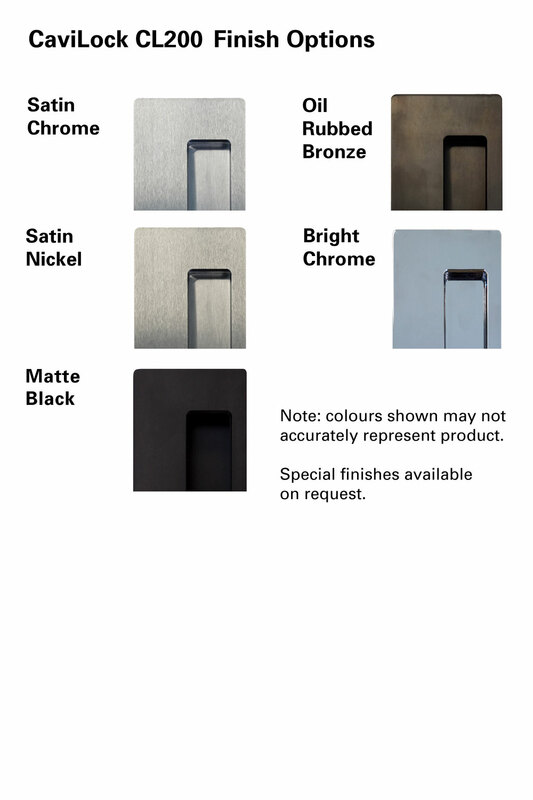 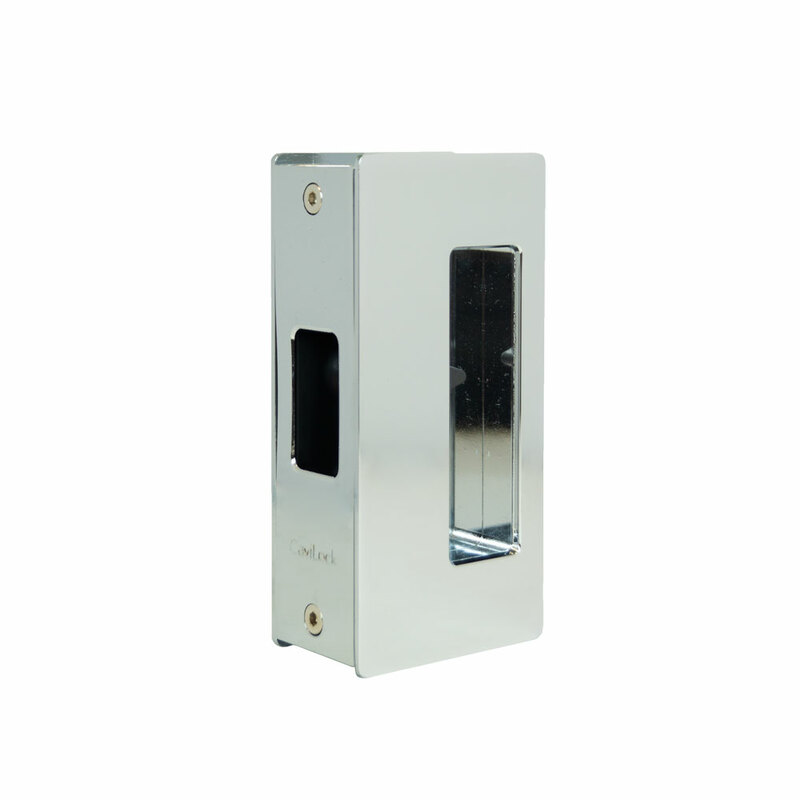 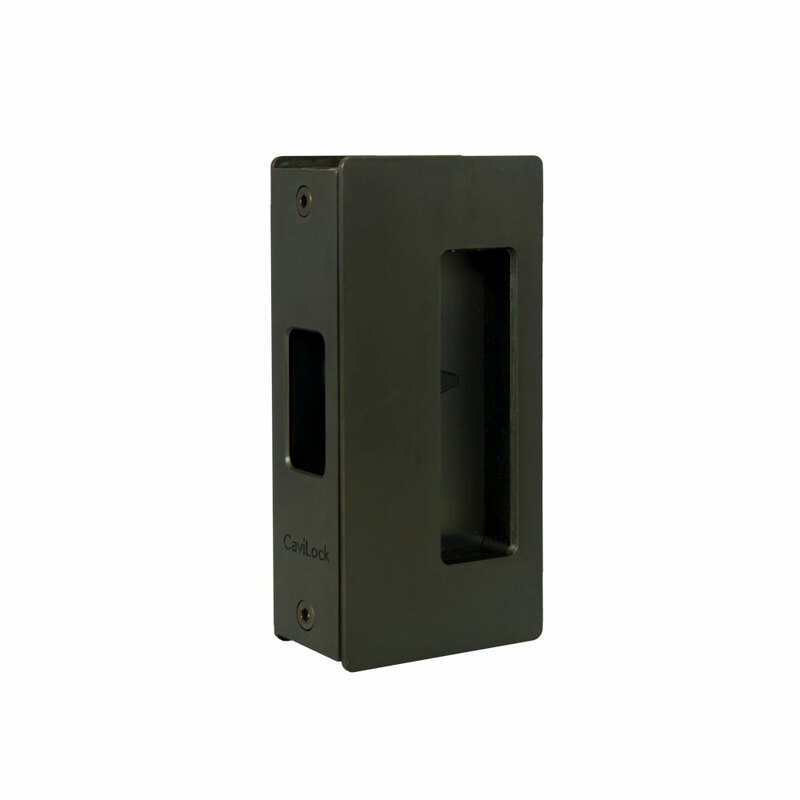 The CaviLock CL200 is a durable range of sliding door hardware suitable for residential, commercial, and hospitality applications. 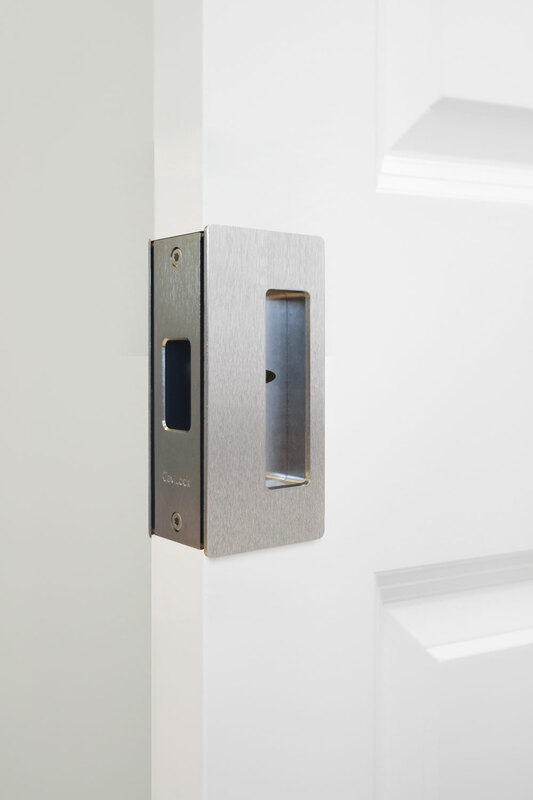 Privacy handles incorporate a patented magnetic latching system*, ensuring a smooth locking action. This handle is not handed. 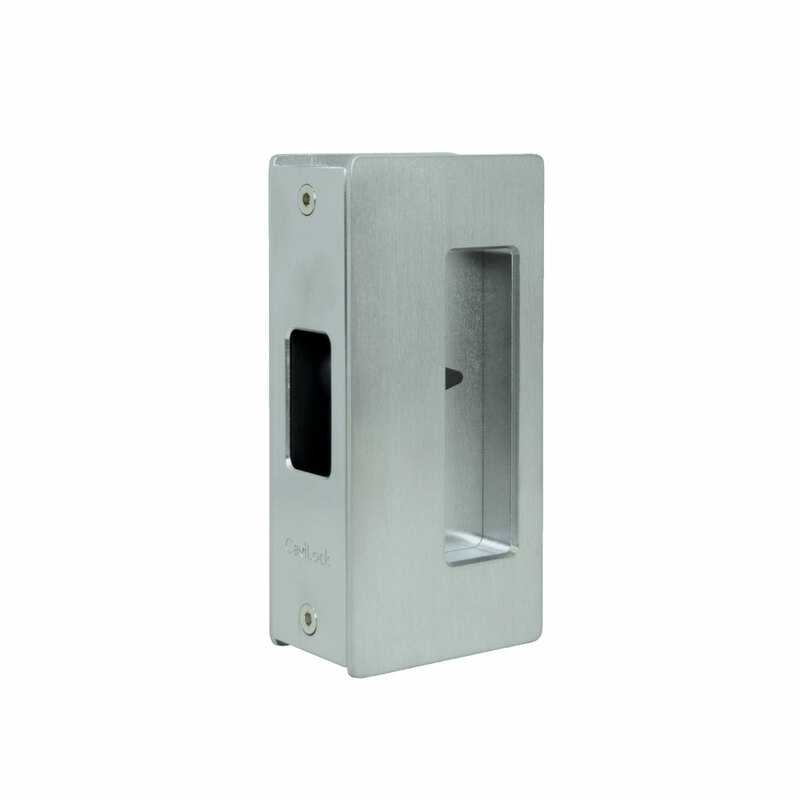 Two face plate widths are available. 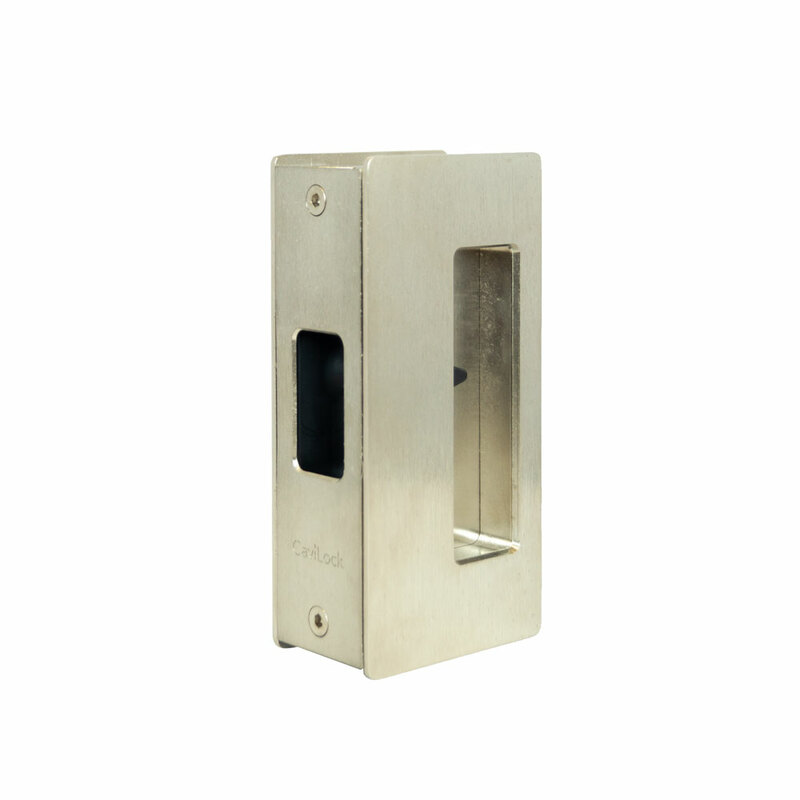 Handles can be adjusted to suit doors from 1-3/8” to 1-1/2” or 1-5/8” to 1-3/4” thick.